The Collins Spanish School Dictionary has been especially designed to meet the needs of school students and is suitable for use in the classroom, at home and during exams. This edition was published in 2015. 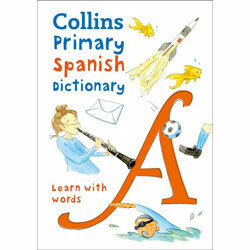 It contains all the words and phrases that students will need, with key curriculum words highlighted and thousands of examples to show how Spanish is really used. The clear layout - with colour throughout and alphabet tabs down the side of the page - helps students to quickly find the information that they need. 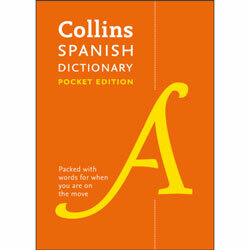 All main translations are underlined to help users quickly find the answer that they are looking for. The Collins Spanish School Dictionary has been developed for school students who are learning Spanish. It is best suited to Key Stage 3 (age 11+) students.